"NOT The Last Butterfly is a beautiful reminder that goodness will prevail. 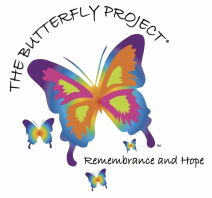 Seeing the positive impact this project is having on survivors and seeing the butterflies being created by people all over the globe inspires us to remember that working together we can create a world where respect, love, and acceptance become the rule and not the exception. Thank you to everyone involved in the making of this film."